Habersham Luminary Candle 4" X 4" is beautifully boxed and lasts up to 80 hours. 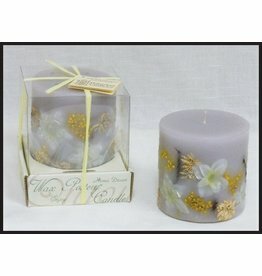 The Garden Vanilla fragrance is a soft floral with notes of lily and rose that waft beneath a sweet creamy vanilla base. A garden fresh experience!